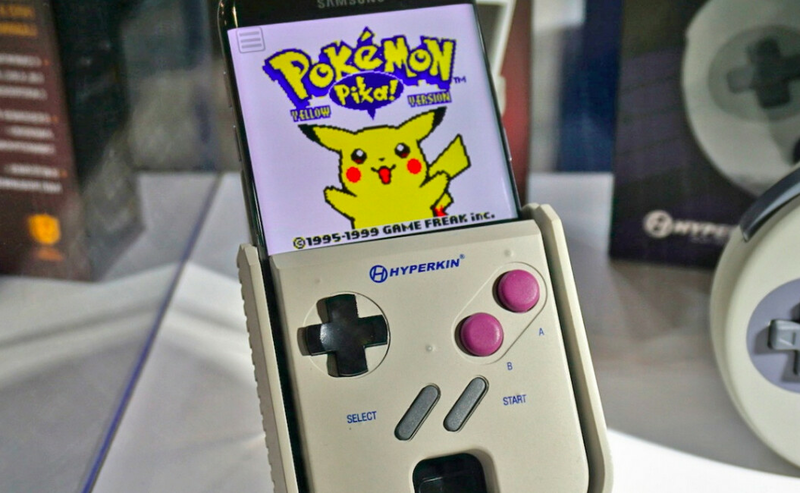 How would you like to turn your Android flavored handset into a Nintendo Game Boy that accepts both monochrome and color game cartridges? It can be done, we tell you, and it won't require a magic wand or spells from Harry Potter to accomplish the feat. All you need is the Smart Boy. Originally conceived as an April Fools Day joke last year, the device can be pre-ordered for £59.99, which translates into $77.86 USD at current exchange rates. The Smart Boy connects to your Android handset via the Type-C USB port, which is a requirement for the device that it will be used on. The phone also must sport a 5.2-inch to 6-inch display. The Smart Boy works with Game Boy and Game Boy Color cartridges. That means you can dust off your old Pokemon Blue and Pokemon Red games, and finally finish playing them. The Smart Boy is expected to be released in September. Leeching off your phone's battery for power, the gadget will run for approximately five hours between charges. The device is included in the Samsung Mobile Accessory Partnership Program and is said to work best on the Samsung Galaxy S8, but that appears to have something to do with the Type-C port, which is available on many other Android phones. If you're seeking a dose of nostalgia, you can pre-order the Smart Boy by clicking on the sourcelink. Oh no hell na i ain't paying for that. Maybe apple people should get something like that since they can't download emulators and roms on their Iphones.. Us android people can download roms and emulators for free on our phones. I downloaded all the pokemon games for free n been enjoying them on my s8 plus. Mayyyyyybe you shouldn't be talking about your pirate adventures there mate. Why would anyone buy this clunky overpriced contraption when they could use a free emulator + ROMs to enjoy their Game Boy titles with enhanced graphics? Ever heard of rechargeable batteries? I very much prefer using a GameBoy emulator (like MyBoy!) and download GameBoy titles for free at CoolROMs and play full screen in landscape mode. I play King of Fighterd Ex2 like that. Pretty sure you can get an awesome emulator for less than $10 or a used game boy color for not much more of you really want to go old school.